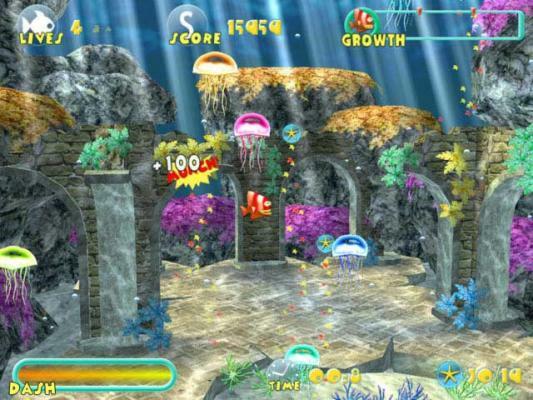 Meet Sunny, a tiny tropical fish in a giant sea ocean. 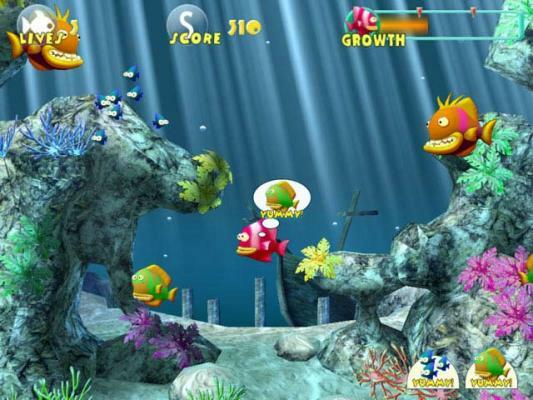 In Fish Tales, it's your job to help Sunny in his quest to survive the treacherous waters and find the treasure. 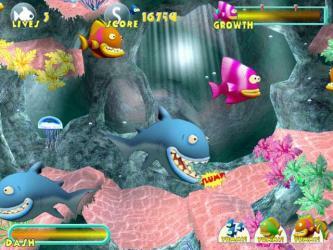 You must keep the big fish from eating him so he'll grow big enough and strong enough to face the Shark King. 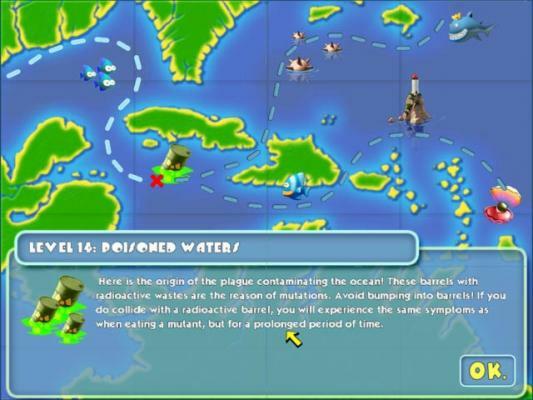 Choose from two different game endings, or play them both for the complete adventure tale!